"Jingle Bells" is one of the best-known and commonly sung American Christmas songs in the world. It was written by James Lord Pierpont (1822–1893) and published under the title "One Horse Open Sleigh" in the autumn of 1857. It has been claimed that, even though it is now associated with the Christmas and holiday season, it was actually originally written to be sung by a Sunday school choir for American Thanksgiving. However, historians dispute this, stating that it was much too "racy" to be sung by a children's church choir in the days it was written. 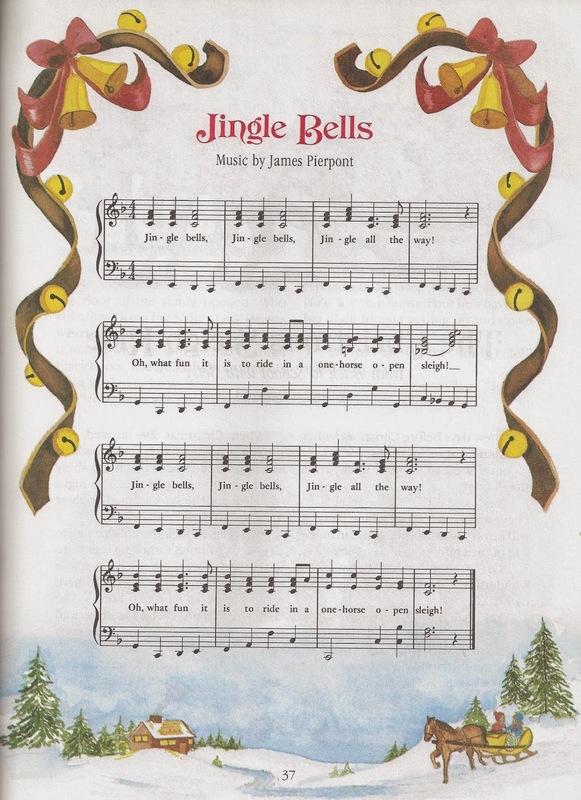 It is an unsettled question where and when James Lord Pierpont originally composed the song that would become known as "Jingle Bells". A plaque at 19 High Street in the center of Medford Square in Medford, Massachusetts, commemorates the "birthplace" of "Jingle Bells", and claims that Pierpont wrote the song there in 1850, at what was then the Simpson Tavern. According to the Medford Historical Society, the song was inspired by the town's popular sleigh races during the 19th century. As mentioned, "Jingle Bells" was originally copyrighted with the name "One Horse Open Sleigh" on September 16, 1857. It was reprinted in 1859 with the revised title of "Jingle Bells, or the One Horse Open Sleigh". The song has since passed into public domain. "Jingle Bells" was often used as a drinking song at parties: people would jingle the ice in their glasses as they sung. The double-meaning of "upsot" was thought humorous, and a sleigh ride gave an unescorted couple a rare chance to be together, unchaperoned, in distant woods or fields, with all the opportunities that afforded. Sleigh rides were the nineteenth-century equivalent of taking a girl to a drive-in movie theatre in the 1950s and early 1960s, so there was a somewhat suggestive and scintillating aspect to the song that is often now unrecognized. The 1857 lyrics differed slightly from those we know today. It is unknown who replaced the words with those of the modern version.